Presentation of the new Palasport in Riva del Garda. The Major and City Administration have given the support and approval for the H21’s project for the New Palasport of Riva del Garda. The project will give to the city a multipurpose space for sport events, fairs and concert area. The plan has been design following the people’s needs in terms of flexible space and easy use. The strong shape, designed for a city that look at the future with new eyes, come from the lake and the surrounding mountains that feature the whole area. 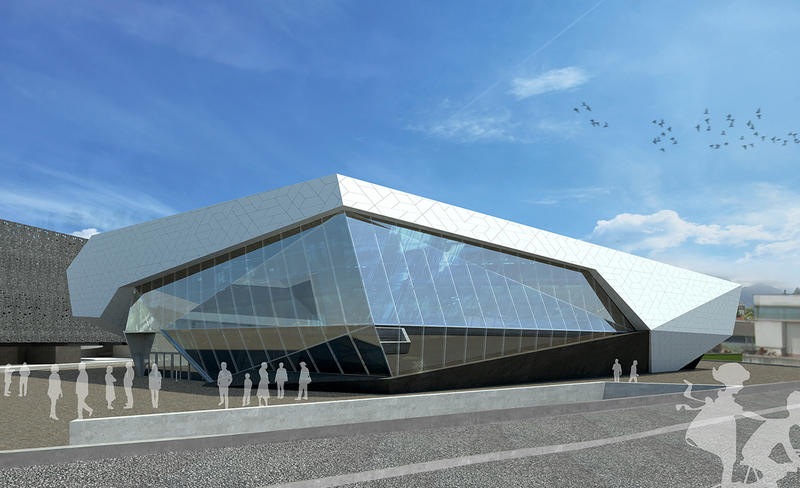 The project include 2500 seats, bar, lounge room, press area, offices and a car access for the fairs of ships and cars. The level -01 arena has given the possibility to minimize the above ground volume in agree with the planning scheme needs.